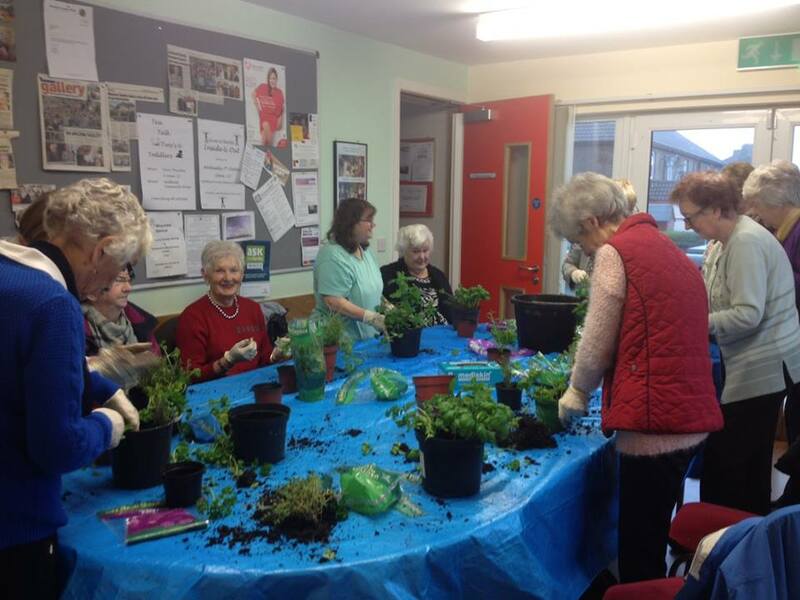 The women enjoying a pampering session! This is one of the longest-standing groups active at the FRC. 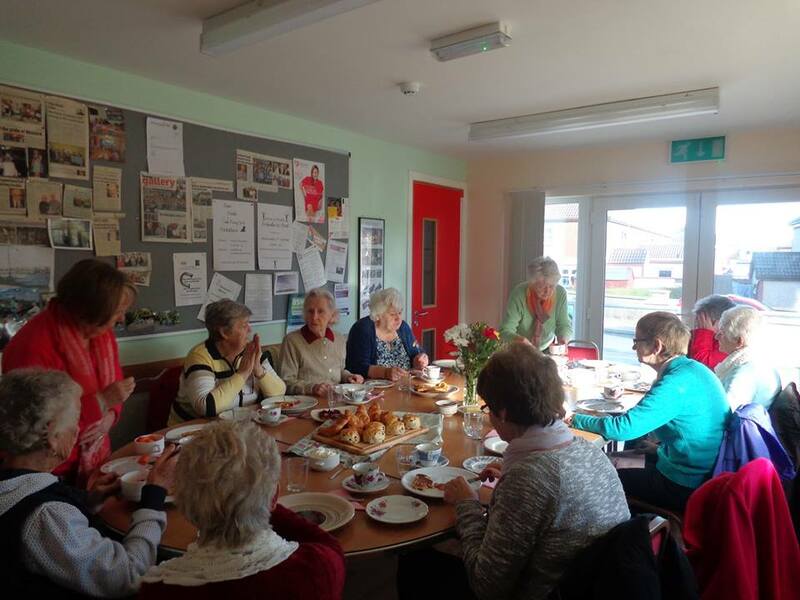 Each and every Monday from 10am to 12pm, up to 20 local ladies meet up to socialise, learn new skills, have a laugh and support each other through life's ups and downs. 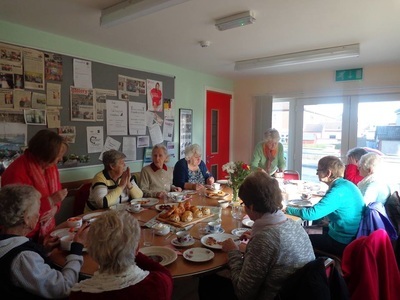 The group provides a space for the ladies to get information on everything from security and safety, First Aid, nutrition and health as well as somewhere to be together and relax over games, a cuppa or a quiz. 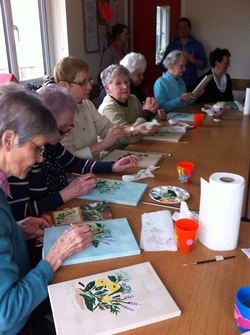 Over the years, the ladies have turned their hands to everything from ceramics to felting, T'Ai Chi to meditation, gardening to jewellery making. The group is a mine of skills, knowledge and experience and the members are encouraged to share these with the group, which has resulted in the production of an array of beautiful garments, blankets, artwork and more. What the ladies always say is that it is what takes place while you're busy with your hands that is the most important part of their group for them - the chat, the craic and the laughter is what keeps them going and can often be the highlight of the week for some. The group provides the ladies with a chance to take occasional outings together, which they may not get a chance to do otherwise. 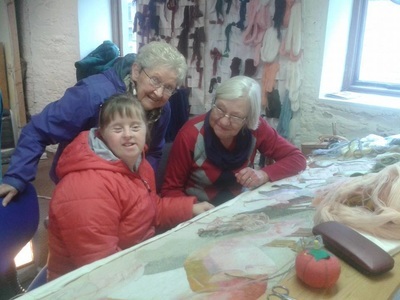 They have enjoyed trips to Wicklow Gaol, Kilkenny Castle and an exchange visit to Forward Steps FRC in Tullow. The younger generation at the local primary schools has had the benefit of inputs from the group on needlework, social and labour history and traditional games.